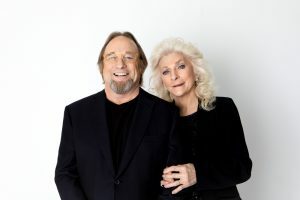 Pan American Center is pleased to welcome Stephen Stills (of Crosby, Stills, Nash & Young & Buffalo Springfield), legendary performer Judy Collins, and local artist Travis James Manning on Friday night, September 14, at 7:30 p.m.
Tickets priced as low as $35.50 are on sale NOW at the Pan American Center Ticket Office, 575-646-1420, toll free at 800-745-3000, all Ticketmaster outlets and https://www.ticketmaster.com/venue/98676/. Additional fees may apply. Fifty years ago, singer-songwriter Stills met singer-songwriter Collins, known for her piercing ocean blue eyes. Their tumultuous love affair would later be immortalized by Stills with his composition “Suite: Judy Blue Eyes.” Both artists would go on to shape modern music with visionary approaches, but Stills and Collins’ short fiery union remains a trans-formative era for both artists. For this once in a lifetime tour, the two music legends will pull from their rich catalogs; Stills from years with Crosby, Stills and Nash, and Collins’ exceptional vocal and writing arrangements that led to five Grammy nominations and one Grammy win. Tickets priced as low as $35.50 will go on sale to the public on Friday, July 6, at the Pan American Center Ticket Office, 575-646-1420, toll free at 800-745-3000, all Ticketmaster outlets and Ticketmaster.com. Additional fees may apply. 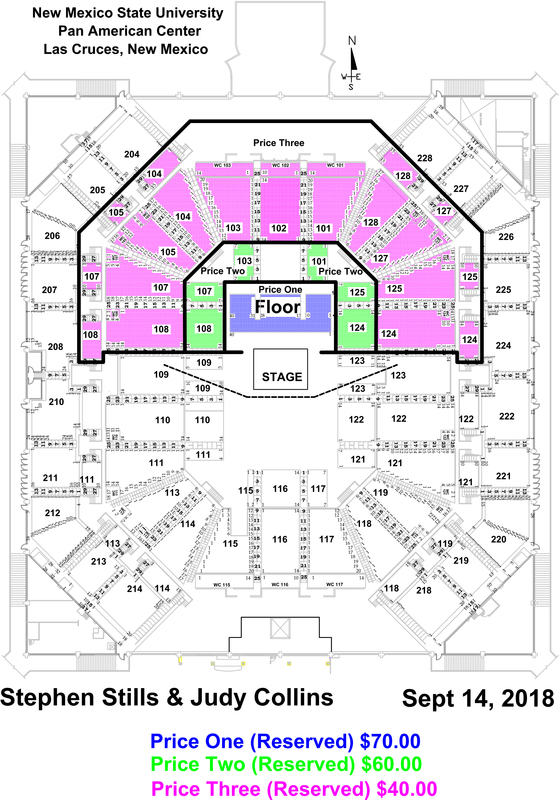 Prices on map include fees if purchased at Pan American Center Ticket Office. Additional fees may apply if purchased elsewhere.